With the help of Hotmail Backup Software, a user can download all emails of the Hotmail account (or Outlook.com, Live.com, and MSN.com) successfully. The application is mainly developed to save Hotmail email to hard drive efficiently and successfully backup emails from all available email folders. Easily perform Hotmail Email Backup process in any Windows OS 10, 8, 7, etc. The Hotmail to Outlook Migration Software is designed in such a manner that it allows users to export all emails from Hotmail to multiple file formats i.e. PST/EML/MSG and MBOX format. This will increase the accessibility and usability of the Hotmail emails. A user can access these output files in any of the supportive email clients like Outlook, Windows Live Mail, Thunderbird etc. A user need not wait for the complete account backup. 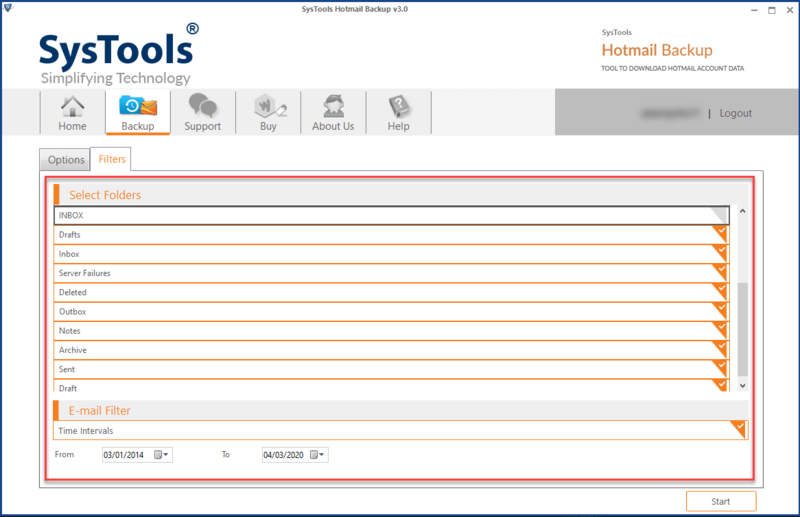 The Hotmail to Thunderbird, Outlook, Apple Mail Migration Tool provides one unique feature i.e. Pause & Resume option to handle the live Hotmail backup process. Therefore, a user can pause the backup process in between and resume it whenever required without any issue. This process doesn't make any changes in file structure. If the software gets closed during an email downloading process, a user can also restart it again from the same point where it left. Moreover, Hotmail to Apple Mail Converter software provides an option to maintain a partial history of the backup process. Therefore, whenever a user starts the tool again, he or she can view all the details of incomplete Hotmail email backup & resume it. Before a user begins the Hotmail email backup process, the tool provides users an option to apply filters and download desired data only. Using these filters, a user backup all or selected email folders in desired file format. In addition, a user can specify the date range in ‘To’ and ‘From’ field to backup emails from particular date range only. The Hotmail to Thunderbird Migration tool while transferring emails from Hotmail to MBOX or other file formats, display live progress of the backup process. It will show all the details of conversion process such as backup processed percentage, current folder, destination folder link, backup rate, status, and item count. In order to free up some storage space from Outlook.com account, the Hotmail to Outlook Exporter Software provides an option named as Delete After Download. This option allows users to delete all the data that has been downloaded and saved successfully on the local machine. 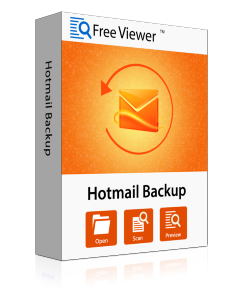 The another impressive feature of Hotmail Backup software is that it preserves the email header throughout the downloading process. It keeps all the details stored in email header such as to, from, subject, cc, IP details, date, etc., intact as original during local backup of Hotmail account. The Hotmail Backup Software is designed with a high-tech algorithm that can export all emails by maintaining their original status. It does not matter whatever be the output file format (PST/EML/MSG/MBOX) of backed up emails, their original status i.e. read or unread status is preserved even after the export process. A user can also change the language of the application as well. 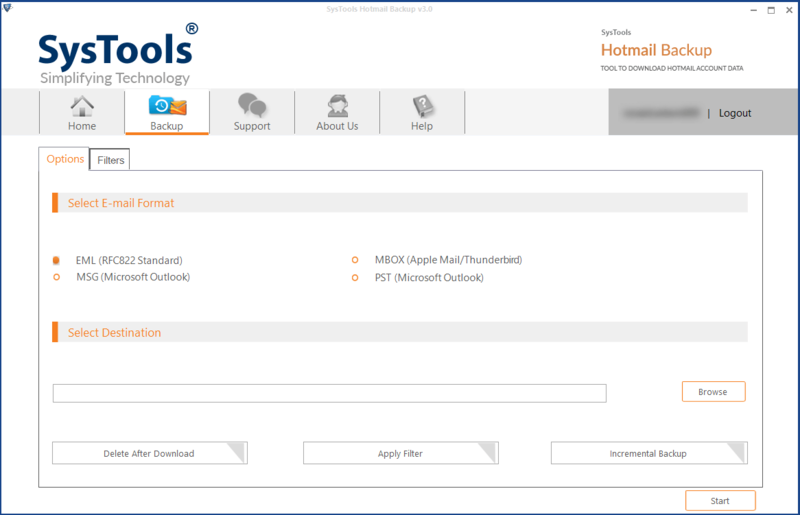 The Hotmail to Thunderbird Migration Tool has an advanced feature and compatible with six different languages. However, by default, the interface will remain in the English language, which can change further to German, Portuguese, French, Spanish, and Japanese. Demo version of Hotmail Backup software can Export only 100 Emails and is Valid for 30 Days Only. 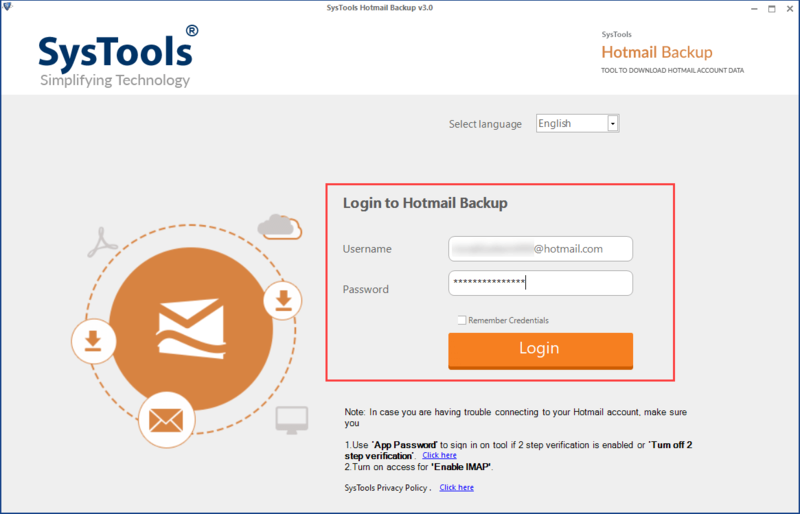 How Hotmail Backup Tool works? 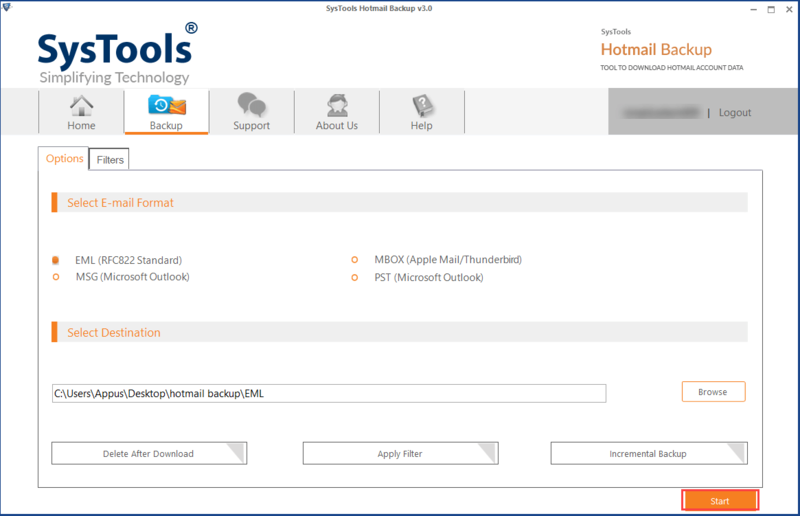 Step 1: Install & Run Hotmail Email Backup Tool. Step 2: Login with your Hotmail credentials and allow the access to your email account. Step 3: After that, select the file format (PST/MSG/EML/MBOX). Step 4: Apply Date-based & Email Filters for selective data backup. Step 5: Browse the destination location and click on Start button. Step 6: The process will begin and the software will show the status. Step 7: After completing the process, navigate to the saved location and get the output file. Is it necessary to install & configure MS Outlook application on the system to perform Hotmail to Outlook migration? Yes, if a user wants to export Hotmail emails to PST format, then Microsoft Outlook installation and configuration with valid profile is necessary. 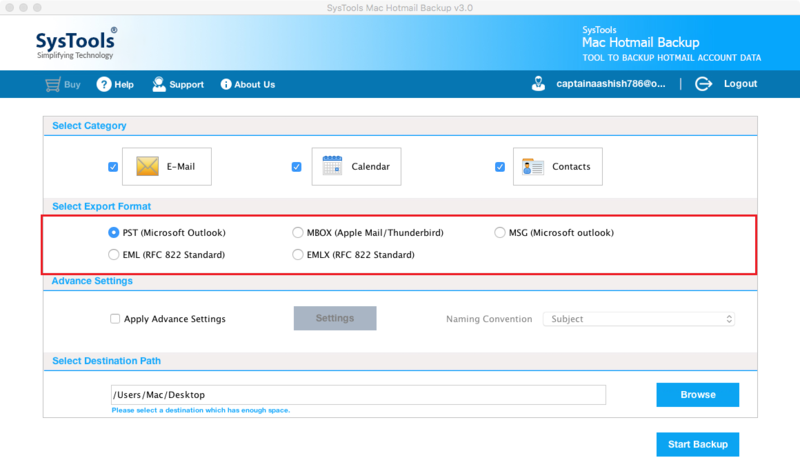 Does the Hotmail to Apple Mail Exporter Software require internet connection to download emails in MBOX format? Yes, the Hotmail Backup application requires a continuous internet connection to backup Hotmail emails in PST/EML/MSG/MBOX format. Can I use Hotmail to Outlook Migrator Software on Windows 10 platform to backup Outlook.com emails? Yes, the Hotmail to Thunderbird Backup software is compatible with all the versions of Microsoft Windows, including Windows 10. Is it necessary to enter Hotmail account credentials to backup account data? Yes, it is necessary to fill all the required Hotmail account credentials. However, Hotmail Backup software does not save your details in its database. It is required to download Hotmail data. Does the Hotmail Email Backup software has any file size limitation to download email data? No, the Hotmail to Outlook Exporter Application is designed in such a manner it does not have any file size limitation. Therefore, a user can download any size data from Hotmail account without any hassle. "I want to express my gratitude towards Hotmail to Thunderbird Exporter Tool. The software helped me a lot in my lean patch. The utility resolved all my problems in such a simpler way that no other program can do. 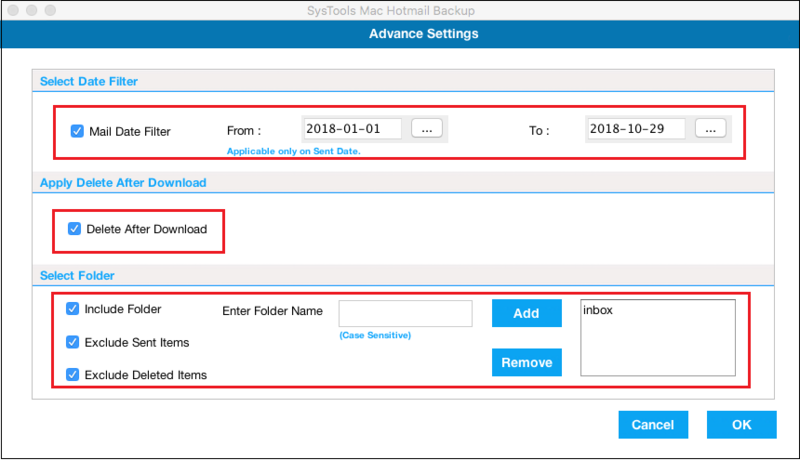 Moreover, the Hotmail Backup application has so many incredible attributes that make it different from all other programs present across the globe." 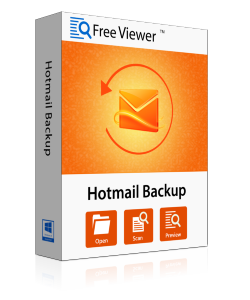 "Thank you Developers for such an amazing Hotmail Email Backup utility that resolves all the issues in a single go. The tool is versatile enough that it resolves all issues related to backup Hotmail to Outlook, Thunderbird or Apple Mail. I must say there are many creative minds behind the incarnation of Hotmail Backup product. Once again Kudos! for your effort guys." "I was looking for a solution to backup emails from Hotmail to Outlook and my search ends here. I am really happy and satisfied with this tool. It was unexpected to have many features in a single utility. 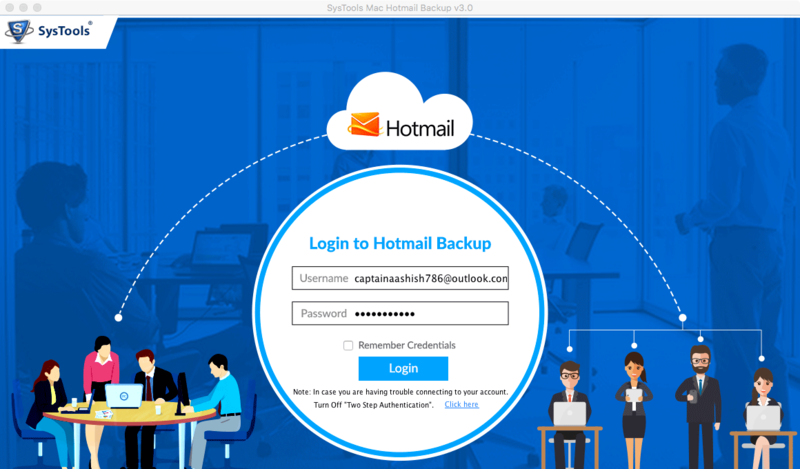 I want to suggest Hotmail Backup Tool to everyone who is looking for the solution to download emails from Hotmail account to hard drive or another email application like Outlook." "I must say that Hotmail to Apple Mail Downloader is the best utility I have ever used. It was quite difficult to backup emails through manual procedure as it takes too much time to complete the process. one can also face data loss. But, FreeViewer Hotmail Email Backup is reliable solution to download & backup data safely." The software allows users to backup complete Mac Hotmail mailbox. Users can save all the emails in PST, MSG, EML, EMLX, or MBOX format using this software. It also exports the address book data in VCF and calendar entries in ICS format. Besides, all Hotmail attachments can be migrated with the help of this application. In case the users do not need to back up their complete data from outlook web app, they can use this tool to save only the partial data. The date filter option permits the software users to enter a particular date range. Then the utility exports data of that specified date interval only, saving time and space. This is an extremely useful feature of Mac Hotmail Backup Tool. Enabling this feature, users can backup only the remaining data of any Hotmail account, from which some data have been downloaded earlier. This feature will only work if you are using this tool to save Hotmail account data for the second time. Often, users do not need to keep the data online once then have backed up that data locally. For such users, this tool offers the option to delete Mac Hotmail data after download. It will automatically delete the data items from Hotmail that have been exported into the Mac machine and users do not have to perform the deletion manually. Any particular Hotmail mailbox folder can be included for data transfer to local drives by using this tool. This software also has the option to exclude Sent Items and Deleted Items, folders that usually do not contain necessary emails. These options help the users to save only the required Live.com data. While the Outlook.com items are being saved locally, users may need to stop the process temporarily. In such situations, Pause and Resume features of this application will come in handy. Using these buttons, the backup process can be put on hold and then proceed according to the convenience of the users. In case a user chooses to save Live.com emails in MSG/EML/EMLX format, the software allows them to choose the naming convention to save and sort the emails in local hard drive. From the multiple naming conventions, users can select their preferred one and the tool will save the emails accordingly. The software shows the live progress in the backup process while the data download is going on. 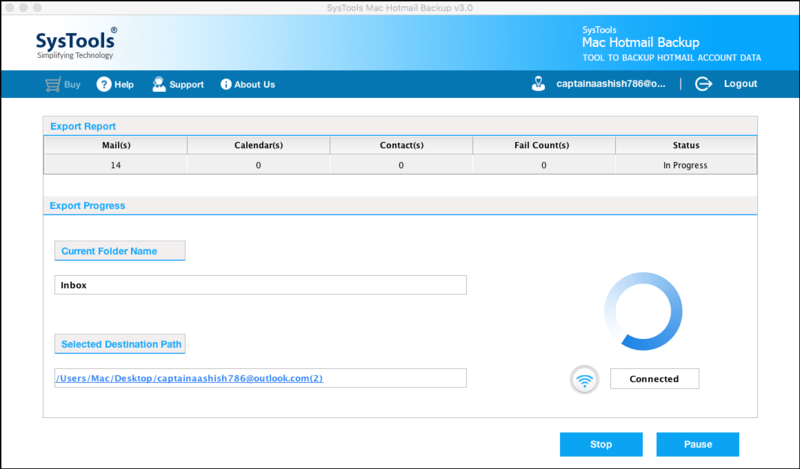 After its completion, the application will generate a full Mac Hotmail backup report. This report contains all the necessary information regarding the backup and can be saved for future reference. How can I run this application? Does this software backup data from country-specific Outlook accounts? Yes, users will have no issue backing up data from their country-specific Outlook email ids. Will this application save the Outlook.com image attachments in my Mac machine? Yes, the software exports all attachments of Hotmail emails without any trouble. Does this tool support incremental backup feature? Yes, using this utility, users can perform incremental backup of their Live.com data. Can this program download shared calendar? Yes, shared calendar can also be exported by using this utility. What if some Internet issues occur during the download? Users can directly keep track of the Internet from the software dashboard and act accordingly. They can pause the process when internet connection is unstable.